This book describes, prices, and illustrates Axes, Anvils, Blacksmith Tools, Chisels, Cobblers & Coopers Tools, Knives, Drills, Farrier, Files & Rasps, Hammers, Hatchets, Lathes, Mallets, Planes, Pliers, Plumber's Tools, Rules, Saws, Screwdrivers, Shears, Shipwright, Squares, Tinsmith, Tool Chests, Tool Holders, Vises, Woodworking Tools,Wrenches... and thousands more. Book Description: Here, at last, is a price guide for the 21st century! It stands out as the only price guide for tools to factor in prices realized from tool sales on the Internet. The prices in this third edition (a total of over 12,000 individual and chart combinations) are averaged from recent live and electronic auctions, as well as from the author's knowledge of general market trends. The prices cover tools from top-of-the-line treasures to common flea market pieces. They demonstrate that tool collecting is reaching its maturity, where condition, signature, and provenance reign supreme and top condition and/or rare pieces bring increasingly higher prices. The prices cover tools that are available in the marketplace, with explanations for each tool group to help the reader classify that most critical of all factors, condition. The chapter on American wooden planes is at the same time simple and comprehensive, covering over 400 makers, each graded with a single value number. New to this edition is a section on Internet auctions, where the author explains the mechanisms of electronic auctions and shares some of his secrets for successful bidding. 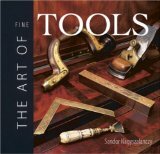 In this edition you will find illustrations of approximately 1000 different woodworking tools; easy-to-find current prices - a total of 12,000 individual and chart combinations; chapters on buying antique tools, tool wood identification, clubs and organizations to join, reference books; and a complete index for easy use. Here is the book that finally unlocks the secrets that professional restorers have been using for years. It explains critical (and previously closely-held) restoration techniques in a way that even the most uninitiated can understand and follow, giving the reader confidence throughout and making the art of restoration not only extremely remunerative for the collector, but satisfying and fun as well. There are chapters covering all the categories of tools, as well as a general chapter on cleaning and refinishing. The author explains how to make a bow for a bow drill, how to tighten loose heads on Sheffield and Ultimatum braces, how to make wedges for planes, how to replace vials in levels, how to repair chipped or missing threads on a plow plane, and literally hundreds of other such invaluable instructions.